I am good, pretty busy with the work at Prakti and other stuff, there is a lot of good projects and ideas coming up at Prakti, we are living enthusiastic times! I saw the GIZ 'Pulumde' when I was in Benin, interesting design, looking sturdy like a Roumde and with a grate like a Pulumusa. I remember secondary air was exiting above the charcoal pile from a metal tube attached to the grate, but it wasn't working well, and I think it was taken out later on. The improved malgache I made wasn't really convincing in terms of performances. Something wrong with the air flow, I guess. Needed a lot of design work, way more than I could do with my small knowledge. Perhaps a two-stage door like you are proposing would improve the performances, yes. I think GIZ with the Pulumde and you with the improved malgache are on to something. A few pictures of the improved malgache are attached. Now my main concern was to make a heat-resistant combustion chamber/cone/grate? Either good and thick metal, either a ceramic one like the POCA you showed me. 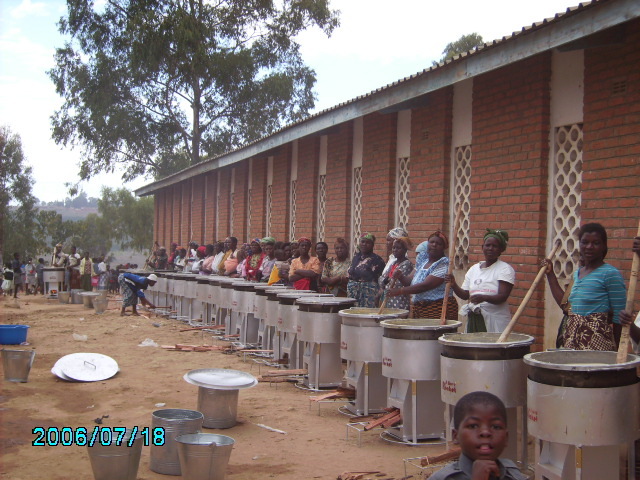 The GTZ project “Poverty-oriented Basic Energy Services (HERA)” has launched a comprehensive guide on carbon markets for improved cooking stove projects. The guide offers an overview of the various steps in the project cycle of CDM and Gold Standard projects, describes existing methodologies, and addresses the most critical issues in project development. The guide is updated on a regular basis and has recently been supplemented with the latest changes in the CDM methodology AMS-II.G. HERA is closely following the ongoing discussions for a second revision of the methodology which might take place in April 2010. Your feedback and project experiences are highly welcome to keep the guidebook up to date!